. Published on April 16, 2015 . Quantum Theory definitively says that nothing is definitive… Well, maybe that’s hyperbole, but quantum theory dismantles classic physics by saying that on very small scales (at the scale of atoms, electrons, neutrinos and smaller) there is only a probability that a particle will behave in a particular way, NOT a definite calculation that will determine its behavior. The same principles apply to arts management. If you were to look at a particular show or event, and believe me the following graph is very unscientific, I believe you would find a correlation between creativity within a production or event and an increase in the unpredictability of the moment to moment operation of the event. Add an element of spontaneity to the event and the probability of their being a significant difficulty or a significant moment of inspiration becomes more concentrated. 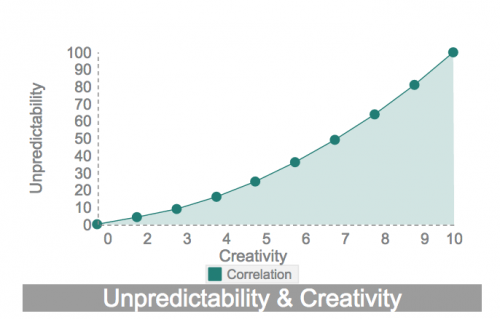 Basically, the more creative the less predictable the event itself will be. So how can we use Quantum Theory to better manage artistic and creative events and productions? First we have to make peace with the fact that everything has a probability of being unexpected. The more moving parts and the more creative the event, the higher that probability is that something unexpected will happen. So as arts managers we have to encourage the management of spontaneous events, by preparing for possible disaster, and gearing up to capitalize on probable moments of genius. The longer the timeline of the event the greater chance that something unknown will take place. As arts managers we have to take careful notes, record events, and encourage an improvisational mindset for our entire team to accommodate the unexpected. When something genius happens, by taking careful notes or recording we can utilize that moment in future events, whether it’s an inspired guitar riff, or an ad-lib in a play that eventually becomes a key line in the movie version of the same production, or an inspired painting method that resulted from accidentally knocking over a bucket of paint. 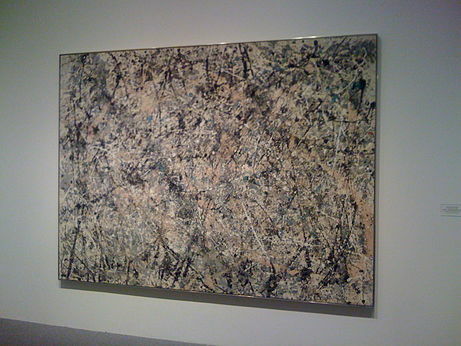 Image of #1, 1950 in the National Gallery of Art. Low-Resolution Fair Use as Critical Commentary. Regardless of whether the occurrence is positive or negative by incorporating any possible event, we minimize the negative impact of the unknown and maximize the positive impact of the unexpected. When taking this approach creativity and the “chaos” that it creates, turns from a potential detriment, into a valuable asset. Quantum Theory is a still at the bleeding edge of physics, computing and chemistry, as arts management develops we will need to create a more effective method of managing and maximizing creativity. The moment to moment sparks of genius or quanta of the arts world are where the most exciting moments of creativity might occur, and where inspiration can come in the form of a crisis or an unpredictable “perfect” artistic move.